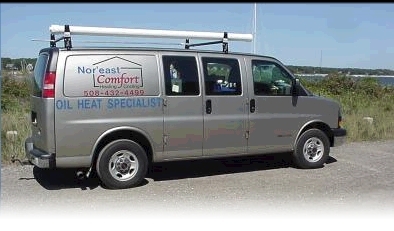 Nor'east Comfort is a full service provider of residential oil Heat, hot water and Air Conditioning systems. We service the Cape Cod area and are able to fulfill all of your heating needs from the annual tune-up and cleaning to the installation of the most modern and efficient heating, hot water and oil storage equipment. Factory trained and authorizerd dealers for WIRSBO, ENERGY KINETICS SYSTEM 2000, RIELLO, VIESSMANN, WEIL McLAIN, THERMOPRIDE and ROTH oil tanks among others.